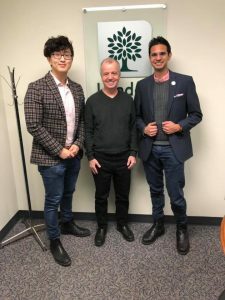 Local Advocacy Week is in full swing, with the USC’s advocacy team canvasing the city to meet with municipal, provincial, and federal leaders about local issues that matter to Western students. 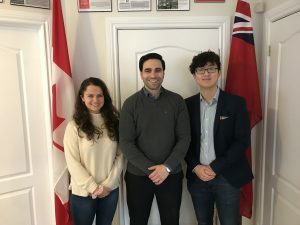 Over the course of the week, the USC Executive and undergraduate representatives will meet with 15 Councillors, MPPs, and MPs to discuss four key advocacy priorities, including transit, job opportunities, student neighbourhoods and safety, and vibrant communities. USC Vice President Danny Chang’s portfolio leads this effort, in close collaboration with Council’s Advocacy Standing Committee. 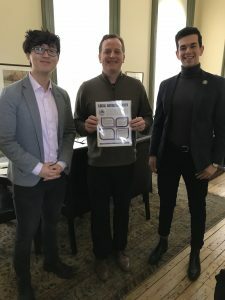 Local Advocacy Week is the USC’s annual flagship lobbying effort at the municipal level and the primary opportunity to focus on local issues. 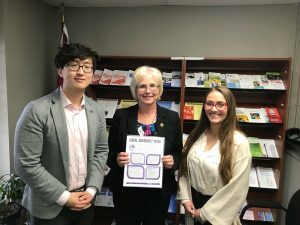 This effort compliments similar lobbying weeks at the provincial and federal level in collaboration with the Ontario Undergraduate Student Alliance (OUSA) and the Undergraduates of Canadian Research-Intensive Universities (UCRU). 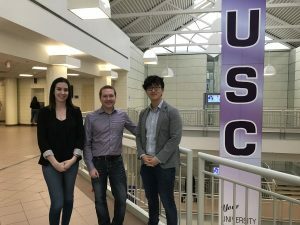 Western and Fanshawe College account for over 11 million LTC rides per year, providing roughly half of all LTC trips. Given the student body’s extensive use of the transit system, the student voice should be considered when planning transit development. Over half of Western students without a job last summer would have preferred to work, but could not find employment. Coupled with nearly 84% of students anticipating burdensome debt after graduation, the need for student-supporting local economic development is clear. Without growing London’s economic scene, talented graduates will leave London for employment elsewhere. Students are often living independently for the first time. Difficulties created by the novel living arrangements are compounded by student concerns about safety and comfort. Creating supportive, resource-rich neighbourhoods is crucial for high-quality student living. The downtown core is an integral part of London. Improving the student connection to this part of the city benefits students’ experience in London and expands the downtown culture, activity, and economy. 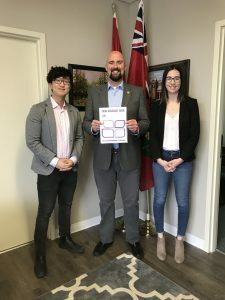 Local politicians participating in this year’s Local Advocacy Week include: Councillor Anna Hopkins, Councillor Arielle Kayabaga, Councillor Elizabeth Peloza, Councillor Jesse Helmer, Councillor Josh Morgan, Councillor Maureen Cassidy, Councillor Phil Squire, Councillor Steve Hillier, Councillor Steve Lehman, MPP Jeff Yurek, MPP Peggy Sattler, MPP Terence Kernaghan, MP Irene Mathyssen, MP Karen Vecchio, and MP Peter Fragiskatos. 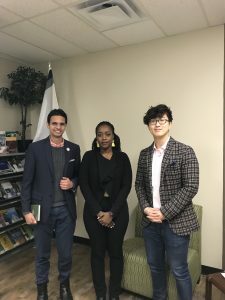 Students interested in these providing their input on these issues are encouraged to complete the USC’s Local Advocacy Week survey or contact vicepresident@westernusc.ca. Survey respondents have a chance to win a USC Rewards Card, click here for more information!